These past few days have been amazing, let me tell you. I’ll end with amazing news. 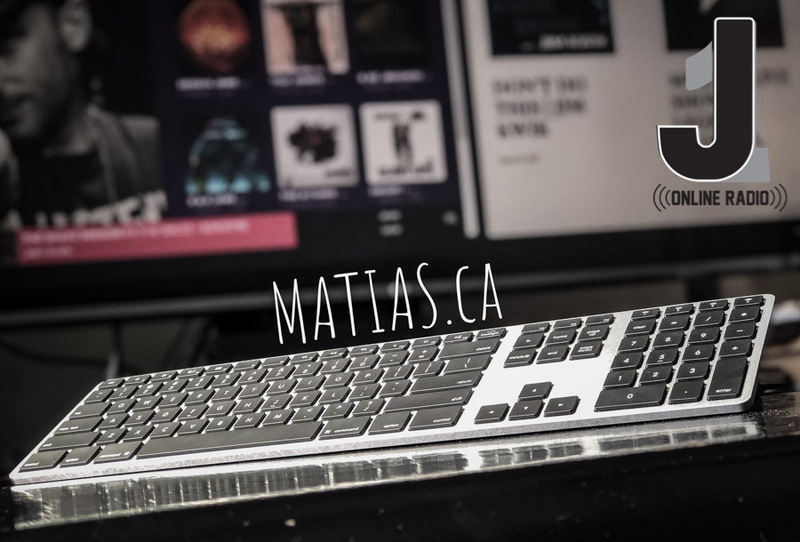 Earlier today I received my new Matias.ca 4x Bluetooth Aluminum Keyboard with Backlit. Huge thanks goes out to Matias for supporting The Colabo Show by sending J1Japan not 1, not 2, but 3 of these amazing keyboards which in fact I am typing on right now. More on that soon but I just wanted to say, this tech is amazing. The anticipation for the release of The Colabo Show had been building for months. On March 26th, 2019 in the late hours of the day J1Japan put Episode 1 in the chamber pulled the trigger. Please, pop on over to our site and have a listen for yourself. Here’s what I wrote on social media to announce. Today marks the start of a new beginning. And one that I accept with open arms. Thanks to James Hopkin, BentoYa Cooking, Urban Longboard, Joey Slick , Kyu Chah& Upgradeable.com.au - Believe me, there will a plethora of thanks coming down the line in the very near Future.